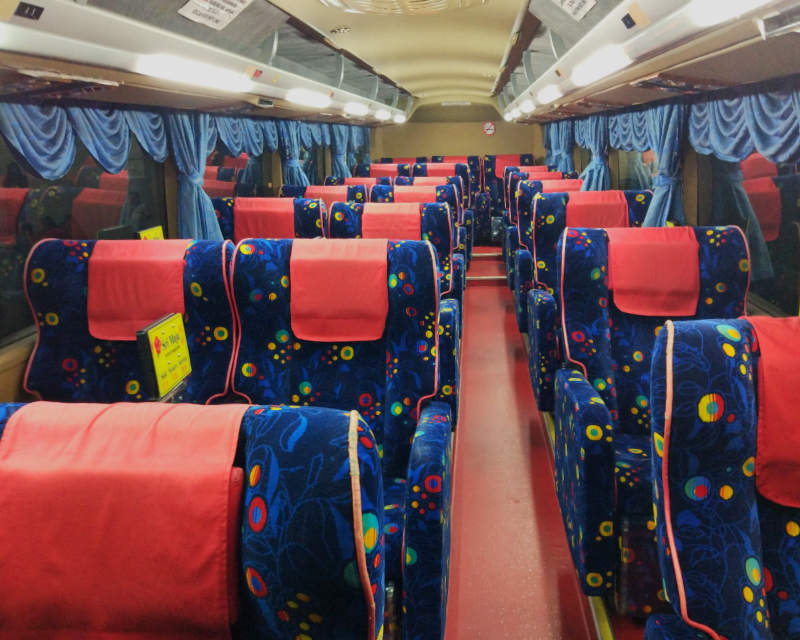 When I was told that we were going to take the express bus from Singapore to Penang, I gasped at the thought of spending 10 hours trying to sleep in a bus seat. Over the years, I’ve heard too many stories about rude drivers and cockroach infested buses when travelling by bus in Malaysia. 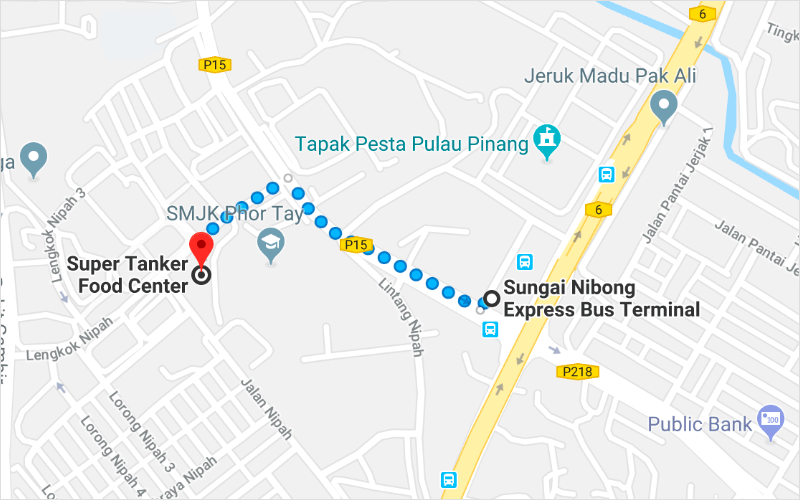 In order to reduce the discomfort, I insisted on taking the more expensive 21-seater Sri Maju express bus from Golden Mile Complex to Sungai Nibong Bus Terminal after some extensive research and reading several Sri Maju bus reviews. As it turned out, taking the 10-hour bus ride from Singapore to Penang is not as daunting as I first thought. We had a careful driver who did not smoke, a clean and spacious bus, and a smooth ride from Singapore to Penang. In retrospect, I think there are indeed some advantages of taking long-distance overnight bus trip. Firstly, a one-way bus ticket costed 50% less than than the cheapest air ticket from Singapore to Penang. Secondly, we saved one night of accommodation cost and started the day really early in Penang. 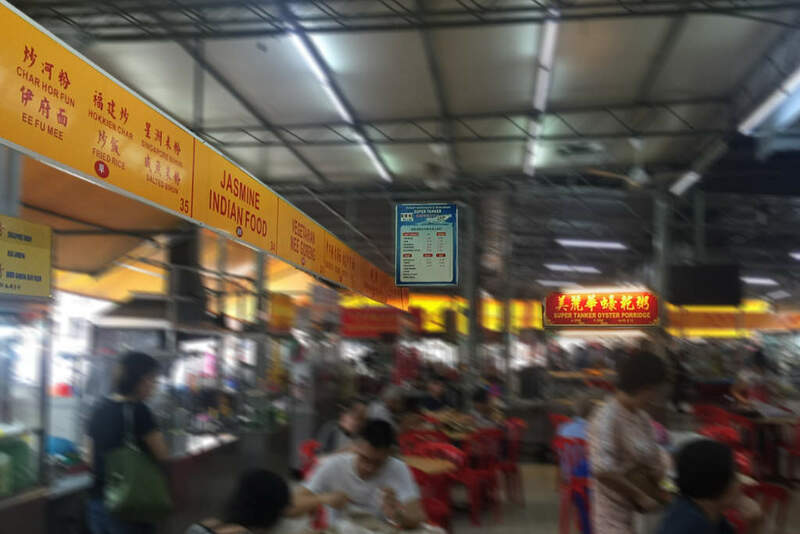 Thirdly, we were rewarded with an authentic spread of Penang street food at the Super Tanker Food Centre – less than 10 minutes’ walk from the Sungai Nibong Bus Terminal. 1. 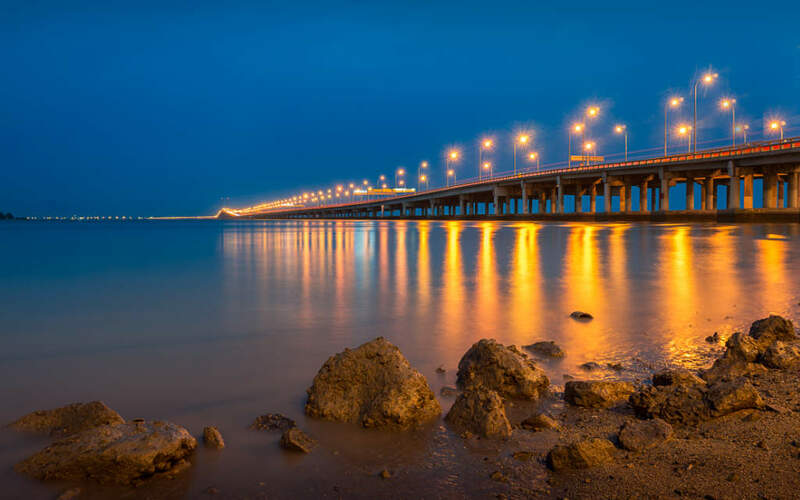 Choose a night bus that departs from 9pm onward and you’ll arrive at Penang around 7am. 2. Choose a reputable bus operator otherwise the bus journey might turn out to be your worst nightmare. The driver of the express bus we took did not smoke on the bus. Before we departed from Singapore, he announced that no food and flavoured drink onboard; only mineral or plain water is allowed. For that, I strongly recommend Sri Maju. 3. Choose a bus with no more than 27 seats. The Sri Maju 21-seater bus was very spacious – I could stretch out my legs and my toes were still unable to touch the back of the seat in front. With this comfortable first-class seat, you would have a better chance of getting more sleep and rest well on the bus. 4. 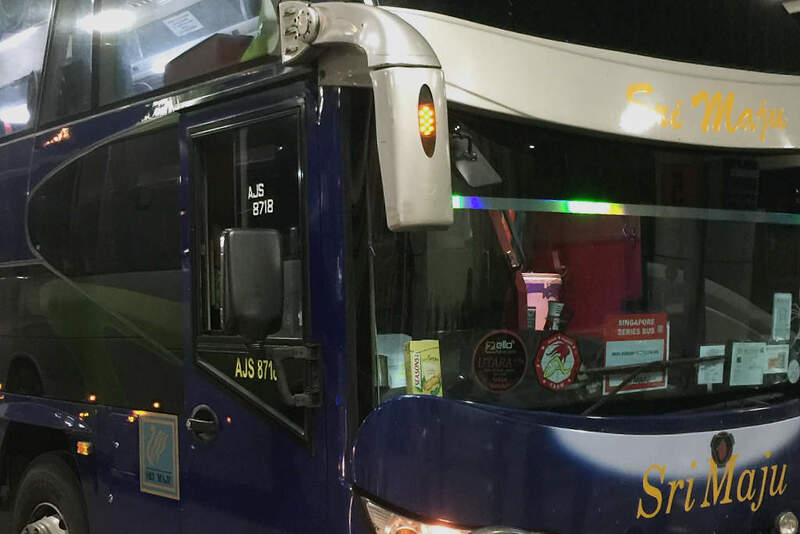 The express bus travelled via the Second Link to cross the border where there was lesser traffic and quicker to clear the custom and immigration for both Singapore and Malaysia. 5. After Singapore-Malaysia border, there were only three stops of toilet break throughout the whole journey. At Yong Peng, we stopped for 20 minutes. Then it was 10 minutes or less for the other 2 stops – one near Kuala Lumpur and another near Ipoh. And one final but very important tip for anyone taking a bus from Singapore to Malaysia is take note of the bus license plate number. I usually take a photo before I board the bus at the pick-up location. 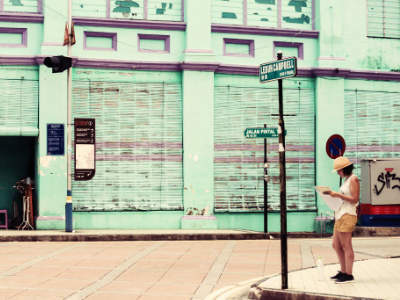 So, the next time you plan to go Penang why not take a bus?